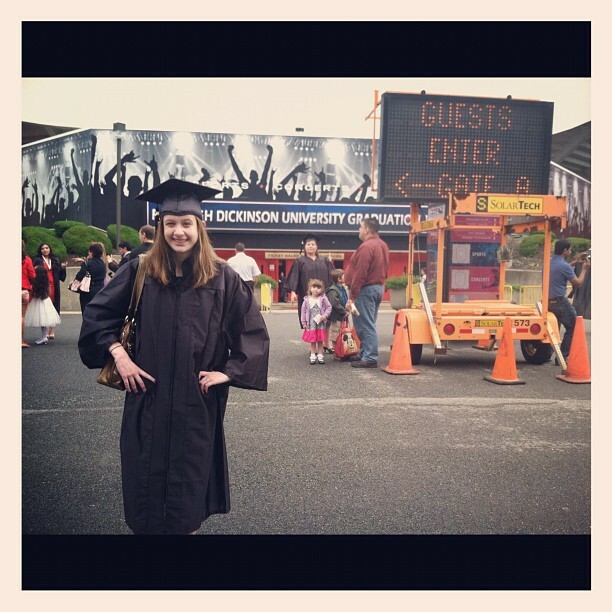 The next chapter in the life of #smallchickbigdeals: Finding #deals as a post-grad! I have an announcement, last week I finally graduated from college. I graduated from FDU in Madison with my BA in Communications with minors in Sociology & Public Relations. What’s even more exciting is that I will be starting working for a food pr firm by the end of this month. I feel really blessed to have this job too. But life as a post grad, especially with my stomach isn’t gonna be easy. I’ll still have a budget for when I go out or even cook so I may have some more recipes up here too. I also will have a list of places I can’t review due to my job. I’m hoping to move close to NYC but we will see what happens. I have tons of places I haven’t blogged about yet I’d love to tell you about also. I also still plan on having my #NorthJersey #BurgerBattle and my #CupcakeContest. There are tons of places in NYC & NJ I can tell you about. As always feel free to tell me about places I should go to and if you agree with my posts! So here’s to the next chapter in #smallchickbigdeals! Hope you are all ready to turn the page with me! This entry was posted in food and tagged fdu, food, postgrad, smallchickbigdeals by smallchickbigdeals. Bookmark the permalink.